Julie Jacky of JulieJacky.com believes there are two key important factors when addressing financial issues. The first is the logical side; the “step-by step” plan she creates with her clients to go from debt to wealth. The second is just as important (but often neglected) which is the emotional side. When it comes to finances, the stress and guilt can be just inhibiting. Julie takes care of both sides of the coin, and because of her unique approach, her website needed a special design. 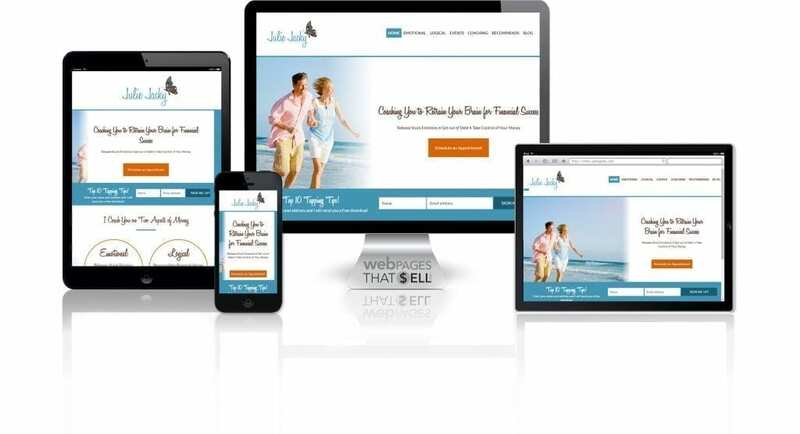 Web Pages That Sell is a web design company that isn’t just interested in the technical side of website design. We love walking the journey with our clients and helping them become of who they’re meant to be. We’re really proud of the website we were able to create for Julie as well as who she is as a person and a business owner. Creating a website is a journey. 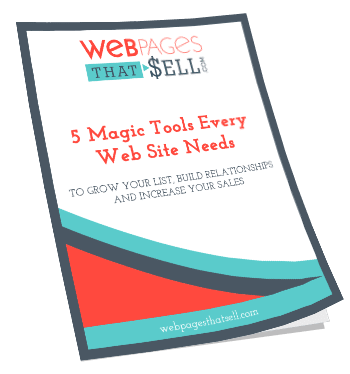 It’s not something you can quickly make up and slap together to connect with your clients. Rebecca had patience as she guided me and kept me moving forward. She really has the heart of a teacher.